More than 50 people stood against New York’s abortion expansion law, known as the Reproductive Health Act on Sunday, Jan. 27 in Bay Ridge. 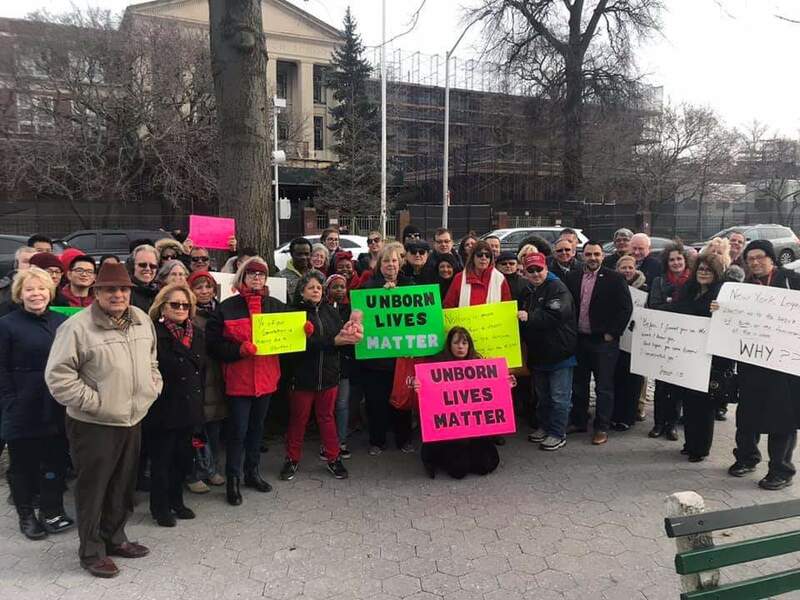 Locals gave their witness in support of life, women and unborn children across the street from New York State Senator Andrew Gounardes’ inauguration ceremony at Fort Hamilton H.S. Gounardes, one of the abortion bill’s co-sponsors, unseated longtime State Senator Marty Golden, who represented Southern Brooklyn, from Bay Ridge to Marine Park, from 2003 until 2018.